A new Star Trek game hit the shelves this week, and only a few days remain until the premier of the 12th movie. As the tone of the movies and the series has changed a lot, we decided to take a look how the games evolved over more than 30 years. The variety in genre is wide—with both good and horrible examples—most of them being space simulators, shooters and graphical adventures. If 716 Star Trek episodes and all the movies were not enough, it's the perfect field to explore. The first Star Trek game came early. It was text-only and featured the USS Enterprise (that's the "E" on the pic). The goal was to hunt down the invading Klingons. Sega's arcade game featured both a 2D and 3D display. Most of the time, we had to control the away team in Interplay's 1992 graphical Star Trek adventure game. The 1994 adventure game (with some strategy included) took Picard & Co. to the Romulan Neutral Zone. With added in-game cinematics and amazing graphics for a 1995 point-and-click game, A Final Unity is among the classic Trek games. Similar to a tabletop wargame, now in 3D we could control six races in Starfleet Command. This one is a first-person shooter based on the Voyager series, so the game had more action than usual, and it was full of Borg. A handful of full motion video sequences (those are always funny to watch), and the fact that we control Klingons made Klingon Academy a special title. A space sim, made in 2002 with fully customizable quick battle scenarios. The crew of the USS Excelsior swap places with another one from a mirror universe in Shattered Universe. The game is one of the forgettable Star Trek games and not because it's not focused on Picard and his crew. 4J Studio's Star Trek game had turn-based and real-time strategy elements and featured the main races of the Deep Space Nine series. 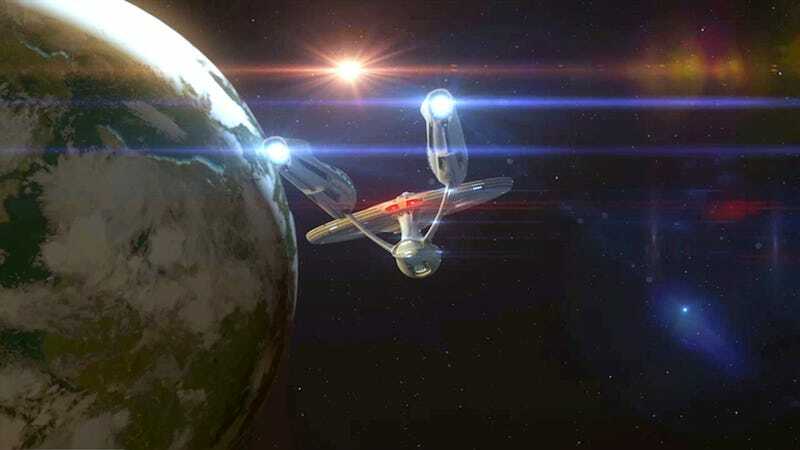 Deathmatch Assault Conquest was based on the 2009 movie, and brought a huge variety of multiplayer modes to the Star Trek universe. Everyone controls their own ship in the first massively multiplayer online RPG based on Star Trek. Kirk and Spock have to deal with the Gorn in the recently released third-person action game. You should show us your favorite moments from these games or from the ones that are not on our list!